It's a good time to be in the luxury packaging business. According to a report from Market Intel Reports (read more at Whatech), the luxury packaging market is set to increase by 5% in the next five years. That means by 2021, the market should reach a value of over $20 billion. Large as the number is, this isn't a total surprise. Sunrise Packaging has had a front-row seat in watching these trends grow over recent years. The demand for great packaging has never been higher, and if this report is correct, it's only going to increase in the coming years. The full report includes information on opportunities and restraints on the market, but here are our main takeaways. --combined with the need for premium brands to find more ways to differentiate themselves. The rapidly-changing marketplace means that brands can't coast on their name anymore. Consumers have access to literal world of products available via the Internet, and if a brand isn't holding up, consumers aren't shy about broadcasting their displeasure. The report includes more information on the state of every continent in terms of the luxury packaging market. The United States is the largest luxury market ( 21.5% revenue share). China holds the distinction of taking second in two categories: consumer of luxury goods and luxury packaging manufacturer. However, with a 36% consumption share of the world’s luxury good market (in terms of revenues), Europe leads the way. It helps that the majority of luxury brand houses call the continent home. Take a second and write down the top five luxury brands that come into your head. What's on the list? Gucci? Chanel? Rolex? Mercedes Benz? Italian, French, Swiss, German. From that list, you can also get a sense for the products that tend to drive the market. It used to be that these products were hard to get. They were limited to those who either lived in areas affluent enough to shop the storefront, or those able to order via catalogs or other methods. E-commerce has leveled the access level (not to mention discount sites and others). Luxury packaging helps to set products apart in the egalitarian marketplace. Packaging has an important role in maintaining a brand's image. This is even more important in the age of social media, as brands are finding opportunities to tie custom packaging to marketing strategy. 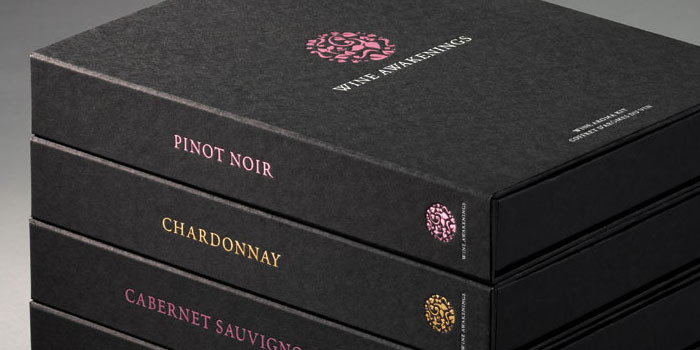 Luxury packaging is about a few factors: design, materials, and experience. Does the package design reflect your product and your consumers expectations? Did you use materials and finishing options that look and feel a little indulgent for the consumer? And consider how both of those designs contribute to the experience of opening the package. Custom options make the difference between luxury and mundane. Contact Sunrise Packaging today to help create your luxury packaging.